Two clothing shops are bowing out of Platte Street in LoHi, with the owners separately saying that new developments along the street haven’t helped business as much as they’d hoped. 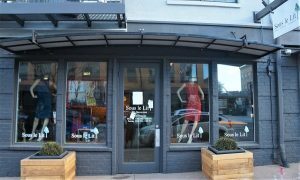 Sous le Lit, a women’s boutique at 1620 Platte St., closed Jan. 6. 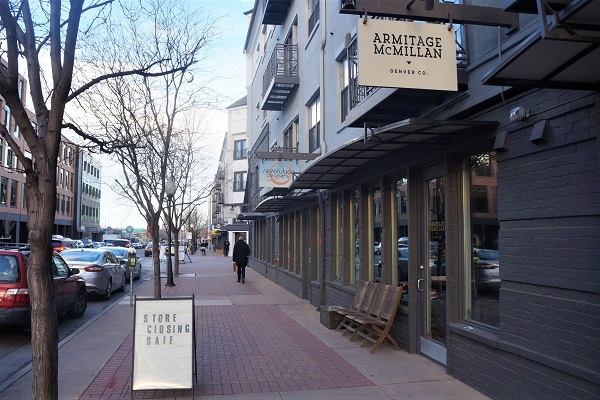 And menswear store Armitage & McMillan’s last day at 1550 Platte St. was last Saturday. 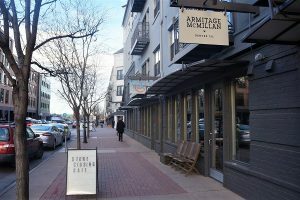 Armitage co-founder Daniel Armitage, who plans to focus on his in-house clothing brand, said the construction from new mixed-use developments such as the Circa Building and Riverview at 1700 Platte has not paid off like he thought it would. While the office space in the new buildings has attracted notable tenants — including WeWork, Xero, BP and Workiva — the ground-floor retail has been slower to fill. The Circa building has leased space to Blue Sparrow Coffee, but the coffee shop — whose original location is in RiNo — has yet to open. The building’s prime corner restaurant space sits empty, though construction wrapped up last summer. In the Riverview building, which was completed last summer, Maria Empanada opened in December. Kelly Greene, a broker with Legend Partners, said a new concept from the people behind Golden restaurant Citizen Thai has leased another 3,200 square feet in the building, which leaves one retail unit unclaimed. Greene, who’s been leasing space on Platte for 15 years, admitted that finding retail tenants for the project has taken longer than he expected, and said growth along the street has posed challenges for existing retailers. Greene said local business owners looking to lease retail in mixed-use projects don’t typically want to make a decision based on blueprints, unlike some of the national brands looking at the space he’s leasing in the under-construction Platte Fifteen. “You’ve got to really have some vision of the future and some courage to go into an area that is morphing as we speak,” he said, citing the success of businesses such as Mercantile in Union Station. 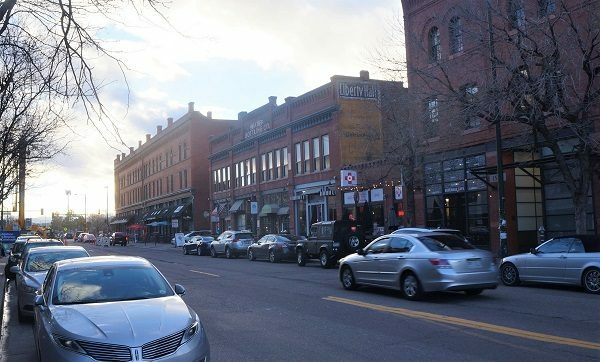 Greene also noted that not every small business on Platte is feeling the squeeze. Wilderness Exchange, for example, started with 1,100 square feet and has expanded three times. “They’re wildly successful,” he said. Vacancies along the street are only one factor contributing to the two shops closing. At Armitage & McMillan, Daniel Armitage said his landlord wanted to raise rent more than 50 percent. “We signed a five-year lease, and when our lease came up, the rents had raised too much to be worth it,” he said. Carson said Sous le Lit paid $875 a month in rent when it first opened nine years ago at 1550 Platte St. The company moved to its current, larger location 1 1/2 years ago, and has been paying $4,000 a month. Sous le Lit tried different tactics to draw more business to its store, including selling Colorado trucker hats for the many tourists frequenting the store, and expanding into menswear. It still wasn’t enough; the store’s sales have been declining since October, he said. Carson and his wife also said the styles of the moment didn’t help their shop, whose offerings trended dressier.